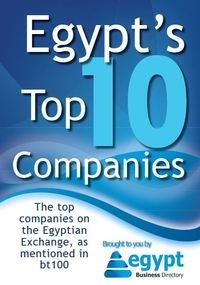 Four Egyptian companies including a bank were listed on the Forbes Global 2000 Leading Companies list for 2011. Orascom Construction Industries (OCI) is involved primarily in construction and fertilizer industries. The Company's purpose is contracting, manufacturing, engineering services, supply and installation of machinery, equipment, tools, materials and supplies required for construction activities in Egypt and Internationally. It also undertakes residential,industrial, commercial and infrastructure projects for public and private customers in Europe, the Middle East and North Africa. It is also involved in the import and export activities as well as leasing equipments. Its Fertilizer Group produces different types of nitrogen-based fertilizers, including urea and ammonia. Its Cement Group is involved in cement, aggregates, ready-mix concrete and cement bags manufacturing activities in Egypt, Algeria, northern Iraq, Pakistan, United Arab Emirates, Turkey and Spain. In May 2010, it announced that the acquisition of Koninklijke DSM N.V.'s agro and melamine businesses has been finalized. including ring tones and other cell phone products and activities relating to the rental of portals to allow satellite roaming calls and value added service activities, and Internet and fixed line, which includes the Internet and fixed telecommunications services of the Company. In July 2010, OTH completed the sale of its Internet services arm, LINKdotNET and Link Egypt, to the Egyptian Company for Mobile Services. In January 2011, it completed the sale of Orascom Tunisia Holding Ltd and Carthage Consortium Ltd.
France (100%), and TE Investment Holding (100%). The Company also has investments in real estate for serving its purposes and projects. Commercial International Bank (Egypt) (CIB) is an Egypt-based financial institution that carries out commercial banking activities in Egypt through its head office, 108 branches and 47 units. The Bank offers its services through three business units: Institutional Banking, Small- to Medium-Sized Enterprises (SMEs) and Consumer Banking. Its Institutional Banking segment covers corporate banking, treasury, direct investments and structured finance. The SMEs division offers short- and medium-term financing, contract financing and guarantees. Its Consumer Banking division offers accounts, loans, residential property finance, CIB wealth, and a range of CIB debit and credit cards. CIB also offers investment services through its subsidiary, CI Capital Holding Company.